This template is best presented indoors or just in front of the restaurant on a digital menu board. 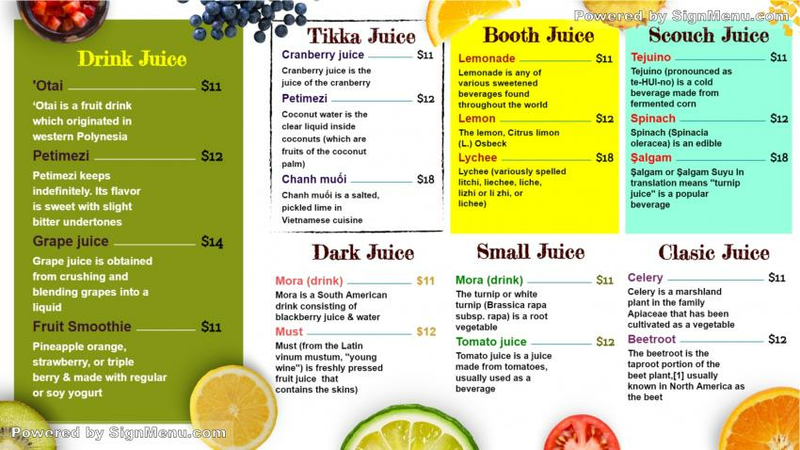 The beverages bar offers refreshing juices and health drinks which could have a target audience from all walks of life. The prices accordingly are affordable to all. The template also highlights soothing colors to compliment its menu. This template is ready for download and use.